Jorge Serna joined Telefónica I+D in 2000, as a Java developer, and learnt what “race condition” actually means. He worked in lots of projects, from voice interfaces that predated Alexa to car guidance systems before there was a Google Maps. He also run the global communications team that created the TU Me and TU Go apps. For 17 years he developed his passion of mixing technology with real customer needs and enjoyed working with amazing people (many of them participating and organizing this tid-x). 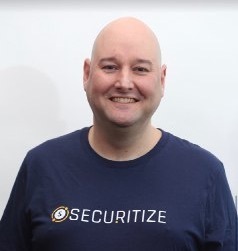 He is currently the VP of Product Strategy at Securitize, a company driving compliant asset tokenization on the blockchain. He’s learning new things everyday about technology, about financial markets and about regulation. And learning is the fun part.